Humanity can have some moral knowledge without encountering the written Word of God. People throughout the world know that the proposition, “it always wrong to torture children for fun” is true. The Bible itself says that at least some moral knowledge is available through general revelation (Romans 1:18; 2:14). However, this moral knowledge is deficient in several ways and requires the Bible for completion. I will argue that though there is natural moral knowledge, that it is deficient in its scope and authority and that the Bible, as the written Word of God, meets the conditions required for moral knowledge. And finally, I will specify how the Bible supplements the moral knowledge available through general revelation. My suggestion is that the Bible confirms what is properly known by nature and “pure’ reason, it corrects moral misunderstandings in moral knowledge, and it calls humanity to go beyond what can be naturally known to a complete vision of the moral life in Christ. The moral knowledge available in the Bible has the power it does precisely because it is the written Word of God under Jesus Christ for he is Lord and thus has the power to impose upon us moral duties and because as man he reveals, enacts, and makes possible eudaimonia or the good life. So why is the Bible necessary to compete our knowledge of the human good and human moral obligations? Though this question seems straightforward, it raises difficult and complex issues in epistemology. The question assumes that the Bible is a source of a particular kind of knowledge, moral knowledge, and that it is a superior source than any other available to humankind. This claim is controversial because many doubt the Bible’s credibility as a source of knowledge in general (the claim is that it is merely the work of men or that is has been severely compromised in its transmission), but many more doubt that adopting the ethics of the Bible would count as a gain in human moral knowledge. For example, Peter Enns argues that the morality of the Old Testament does not reflect the will of a good God, but merely adapts the “accepted cultural norms of the day.” The Bible teaches a Bronze Age ethic which should be discarded in light of human moral progress. Not only is the Bible merely the work of men, it is the work of morally unenlightened ones; that is the idea. I will return to assess this claim later, but Enns’ view serves as an important and popular foil for the thesis I am proposing. What sort of argument can be given to support the idea that the Bible is a source of moral knowledge? Here the work of Karl Barth will provide some illumination. Karl Barth argued that the “The Bible is the Word of God.” Often, Barth is interpreted as meaning that the Bible becomes the Word of God only when God elects to use it as it is proclaimed in the Church. Further, the Bible itself does not communicate the Word of God, but rather, it is merely the vehicle by which divine encounter occurs (a view called “occasionalism”). However, John Morrison suggests that this view fundamentally misunderstands Barth. According to Morrison, Barth holds that the Word of God “always has the character of an event, and Scripture thus ‘becomes’ in/as an event.” The “event” is God’s decision to speak in and through the Bible; this speaking is the result of divine decision and is “ever present.” It is in this way that Barth identifies the Bible with the Word of God. But why should we think Barth’s account is correct? A superficial reading of Barth might lead to his dismissal as a fideist, but this would be a mistake. Showing why this would be a mistake will require the defense of another contentious thesis: all epistemological positions are inherently theological. If, for example, we adopt a view like Cartesian foundationalism, then we have made certain assumptions that have theological significance. Anthropologically, we have made assumptions about the kinds of things we are, along with the limits of our cognitive powers, and our relation to the world. Cosmologically, we have assumed that world is the sort place that is knowable and comprehensible, even if the comprehensibility extends only to our own thoughts. Morally, we have assumed that we have certain intellectual duties that must be fulfilled, namely we must establish all our beliefs on the basis of what can be deductively ascertained from within the mind of a human individual. In other words, epistemological methods imply a worldview or a view about ultimate reality and human nature. This is perhaps why Calvin argues that “Our wisdom, in so far as it ought to be deemed true and solid Wisdom, consists almost entirely of two parts: the knowledge of God and of ourselves. But as these are connected together by many ties, it is not easy to determine which of the two precedes and gives birth to the other.” These issues are inherently theological and so one cannot help but beg the question for a worldview to some extent. Considering this, Barth should not be understood as a fideist, but as person who takes seriously the connection of epistemology and worldview. Barth has an honesty and clarity about his assumptions and their implications that few alternative views could claim. But if epistemology and worldview share this deep connection, then how can we discern what account of our moral knowledge is correct in light of the challenges coming from scholars like Peter Enns? What I propose, then, is that the way to determine whether the Bible is necessary to complete our knowledge of the good and the right, is to apply two kinds of tests. First, is the worldview which claims to account for moral knowledge internally coherent? Does it make any assumptions that conflict with each other or its conclusions? Second, what account of moral knowledge best explains our most deeply held moral intuitions? If, for example, we find that the biblical vision of shalom more deeply resonates with us than Aristotle’s vision of the polis, then that is a reason to think that the biblical account is more likely the correct one. There are a variety of non-Trinitarian accounts of moral knowledge, but perhaps the most popular and viable are Aristotelian and Kantian accounts. Before briefly laying out these accounts and showing some of their short comings, we should note that Aristotelian and Kantian accounts have different targets. In the Nicomachean Ethics, Aristotle is not primarily concerned with spelling out the conditions for right action or the framework for moral duties. Rather, his aim is to provide an explanation of the human good. What will make human beings happy; what realizes eudaimonia? Kant, on the other hand, is primarily concerned with accounting for the existence of the moral law and its applicability to us. A rough way of seeing the difference is this: Aristotle is concerned with the good and Kant is concerned with the right. Aristotle begins with the a priori premise “Every art and every inquiry, and similarly every action and pursuit, is thought to aim at some good; and for this reason the good has rightly been declared to be that at which all things aim.” Any rational endeavor seeks some good. If human beings want to live rationally, they ought to seek after the good. But what is the human good? Whatever it is, it must be something chosen for its own sake and not for the sake of something else. Aristotle thinks that only happiness (eudaimonia) meets this requirement; “happiness is something final and self-sufficient, and is the end of action.” But saying simply that “happiness is the chief good seems a platitude.” Therefore, Aristotle seeks to specify exactly what characterizes happiness. Aristotle suggests that the human good consists in proper function according to a telos. What a human being is will determine what counts as proper function as well as the conditions and nature of happiness. Aristotle thinks that the essential nature of human beings can be discerned by empirical means. Through observation, Aristotle thinks he can detect two kinds of proper function or virtue. First, one can see the difference between man and lower animals. Man possesses a rational element which beasts do not. Aristotle argues that a life of contemplation is the highest good because it is “the best thing in us” and reason is either “itself divine or only the most divine element in us.” The virtues that allow for full utilization of the rational faculty (contemplation) are the intellectual virtues. But in addition to these, Aristotle says there are also the ethical virtues, or virtues of character. Traditionally, the Greek virtues include, according to Thomas Aquinas, “temperance, justice, prudence, and fortitude.” Aristotle thinks that these virtues of character can be discerned through the “doctrine of the mean.” A virtue is the balance between two vices. Temperance, for example, is the mean between self-indulgence and insensibility. Aristotle further thinks that the human good needs the right environment. Aristotle holds that it can be observed that man flourishes best when he lives in the Greek polis. The human good also requires certain material conditions, like physical health and monetary wealth. Happiness is not merely a matter of inward reflection and self-discipline; it also requires the right physical setting. The upshot of Aristotle’s ethic for our purposes is this: Aristotle thinks that a full account of moral knowledge is available to us through the use of common sense and empirical observation. By considering the nature of human beings and their endeavors, and by observing how humans flourish, we can determine what the human good is. Even in this brief sketch of Aristotle’s ethic, one can see how rich and multi-valent Aristotle’s account of the human good is. It strives to include all dimensions of embodied human life, and in this way, has some advantages over more Platonic accounts. The substantial nature of Aristotle’s conclusions along with his seemingly modest epistemological commitments may be why Aristotle’s model of ethics continues to be utilized. Philippa Foot, for example, argues for a naturalistic virtue ethic that attempts to justify moral realism and moral knowledge along Aristotelian lines. 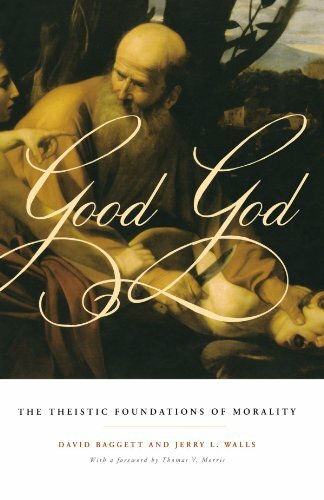 Erik Wielenberg in his attempt to justify value and virtue in a Godless universe, suggests that Aristotle’s ethic provides “the most powerful response” to Christian morality. For many, an Aristotelian strategy provides a promising way to account for moral knowledge outside of the Bible. While there is much to be commended in Aristotle’s approach, like his belief in the connection of facts and values, there are still some problems. One concern is whether Aristotle’s account of virtue actually follows from his insight about human beings. Kraut suggests that Aristotle’s argument in the Nicomachean Ethics may not establish the virtues, but merely shows a reason to be virtuous: “We may conclude that Aristotle proposes flourishing as the ‘ultimate justification of morality [why we ought to be moral].’” In other words, Aristotle begins with the assumption that humans ought to be moral and his project, despite his intentions, only provides motivation to be moral rather than an explanation of morality itself. Further, Aristotle’s project begs the question about the nature of the human good and the associated virtues; these values are assumed rather than demonstrated. John Hare brings a similar charge against eudaemonist or Aristotelian ethics. His contention, following Scotus, is that the moral law, or what humans ought to do, cannot be deduced from facts about human nature. Hare’s basic contention is that Aristotle’s account of moral goodness is too narrow. One piece of evidence Hare supplies comes in the contrast of Jesus and Aristotle’s view of “competitive goods.” Aristotle often thinks of the human good as requiring wealth and power; honor and magnanimity. For one to possess these qualities, others most have them in lesser degrees; they are competitive goods. Jesus, on the other hand, advocates for the virtue of humility. This is the inversion of Aristotle’s vision of the ideal man. As MacIntyre puts it, “Aristotle would certainly not have admired Jesus Christ and he would have been horrified by St. Paul.” This deep disagreement about the nature of the human good, argues Hare, highlights the inscrutability of ethical virtue from human nature. What facts about human nature and how we flourish could be produced to settle the disagreement? This is one reason why Hare thinks special revelation with specific divine commands is necessary for justified moral beliefs. While Hare does not take his conclusion explicitly in this direction, one could extend his argument to say that the Word of God is necessary to supplement what we can know about the human good by reason. For if divine commands are required, then the Bible would be a good place to look for those commands. It is reasonable that happiness should be god-given, and most surely god-given of all human things inasmuch as it is the best. But this question would perhaps be more appropriate to another inquiry; happiness seems, however, even if it is not god-sent but comes as a result of virtue and some process of learning or training, to be among the most godlike things; for that which is the prize and end of virtue seems to be the best thing in the world, and something godlike and blessed. Aristotle seemingly wants to gloss over the relation of God and the human good, but this relation is critical to his theory in at least two ways. First, it raises the question of the nature of goodness itself to human goodness. 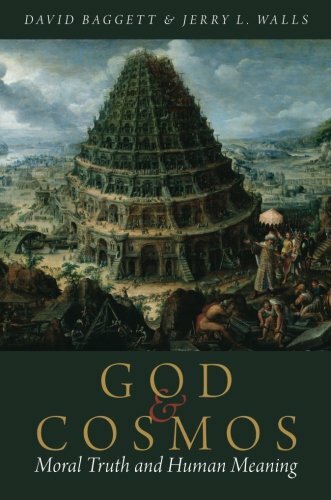 If God is the highest good, then should not he be the telos of humanity? If all rational endeavors pursue the good, then this question is not trivial. Second, if the human good is God-given, then what does this imply about the connection of the human telos and God’s intentions for human beings? If God is both the standard of the good and the one who gives goodness or happiness to humanity, then it would seem that the question of human virtue would be primarily theological and not philosophical (assuming there is a sharp distinction between these disciplines). Investigation into morality would be a question of who God is, what he is like, and whether or not he has revealed himself and his intentions for human beings. In sum, Aristotle’s approach to ethics does not actually succeed at what it sets out to do and it leaves important theoretical questions about the nature of the good, specifically the relation of the good to God and the human telos, unanswered. Kant’s approach to moral knowledge is different both in its method and its goal. Kant’s epistemology assumes a split between the phenomenal and the noumenal. There is a way that things appear to us which is determined by the mind and there is a way things actually are. We do not know external objects as they are, but only as they appear to us, as they are shaped by the categories of the mind. On the other hand, Kant says, “other possible things, which are not objects of our senses, but are cogitated by the understanding alone, and call them intelligible existences (noumena).” God exists in the noumenal realm and is not directly accessible to us. Considering our epistemic situation, Kant thinks that the basis of moral knowledge must be established based on “pure reason.” Moral knowledge would not be knowledge of the Platonic forms, but knowledge of the entailments of reason. Pure reason operates only the analytic and a priori; it utilizes only those things known prior to experience and that are internal to the person. Kant thinks that one can postulate the existence of noumenal objects on the basis of practical reason. If some concept known analytically requires the postulation of some noumenal object to explain its existence, then this postulation is warranted. Seemingly, Kant thinks that the notion of the moral law is an a priori concept for in The Critique of Practical Reason, it is on the assumption of existence of the moral law that Kant, by use of practical reason, establishes the reality of human free will. Kant, like Aristotle, has an important role for God. But also like Aristotle, Kant’s search for moral knowledge does not begin with God. Rather, since God is in the realm of the noumenal, Kant says he “must, therefore, abolish knowledge [of noumenal objects like God], to make room for belief [in these objects]. The dogmatism of metaphysics, that is, the presumption that it is possible to advance in metaphysics without previous criticism, is the true source of the unbelief (always dogmatic) which militates against morality.” Despite this move, Hare rightly argues that for Kant, God has three specific roles, the legislative, executive, and judicial so that for Kant “God gives us the assistance required to live according to the law. And God sees our hearts, as we do not, knows whether we are committed to obedience, and rewards us accordingly.” It is based on God’s necessary judicial function that Kant develops a moral argument for God by means of practical reason. Kant held that a person was always obliged to keep the moral law. However, one’s self-interest or happiness and keeping the moral demand can seemingly conflict so that it would not be rational to follow the law. To keep this seeming contradiction from becoming actual, Kant, as a postulate of practical reason, thought that God must exist to make sure that the moral law and happiness coincide. Here is a related problem to Kant’s view. If his ethical theory ends up affirming the necessity of God, then why would God be left out of the epistemic story? Surely, if God exists and he is personal in the way that Kant’s view requires, then perhaps he might, as Plantinga suggests, create us to know him, perhaps even in a properly basic way. Considering the earlier argument that all epistemology is inherently theological, it would seem to make Barthian and Plantingian accounts at least prima facie more plausible because they at least acknowledge the determinate relation of epistemology to worldview. Having now shown some reasons to be skeptical of Aristotelian and Kantian accounts of moral knowledge, we will now see how a Trinitarian and biblical account is superior. But first we must sketch out this Trinitarian account. A significant difference between a Trinitarian account and the other accounts concerns their respective starting points. We begin with theology rather than epistemological method (particularism over methodism). The first theological assumption relevant to moral knowledge is that God is the good and that, therefore, any moral knowledge we might have will in some way be dependent on him. That God ought to be identified with the good is widely held Christian belief shared among theologians from Augustine to Robert Adams. If goodness is identified with God, then the goodness of all other things must be explained in terms of resemblance to God. Moral knowledge, then is a kind of knowledge of God, either of himself directly or derivatively in his creation. That moral knowledge would be available to us given the existence of God is internally coherent and plausible. Plantinga, in a discussion of the availability of knowledge of God in general says this: “[If it is true that God exists, then] the natural thing to think is that he created us in such a way that we would come to hold true beliefs as that there is such a person as God, that he is our creator, that we owe him obedience and worship, that he is worthy of worship, that he loves us, and so on. And if that is so, then the natural thing to think is that the cognitive processes that do produce belief in God are aimed by their designer at producing that belief.” The other assumption is that the God in view is the Trinitarian God of the Bible who is revealed primarily by his Word, Jesus Christ. Considering these assumptions, the obvious concern given our aim is to say what moral knowledge God has revealed in his Word and how he has done this. God’s modes of revelation can be divided into two categories: general and special and God has made moral knowledge available through both means, though to varying degrees. God the Father, through his Word, who made all things, reveals some of morality in his creation (Col. 1:15-16; Rom. 1:18; 2:14). However, this moral knowledge is suppressed because of sin. Some limited amount of moral knowledge is available by this route, but it is fragmentary and clouded by what Plantinga calls “the noetic effects of sin.” This means that the only ultimately reliable and full source of moral knowledge must come by way of divine grace and special revelation. If special revelation is required for this sort of moral knowledge, which is a species of the genus “knowledge of God,” then written Word of God, the Bible, would be the place to turn. But if God primarily reveals himself in and through his Word, who is Jesus Christ, then this could create a problem. The problem arises if there is a disconnect between God’s primary and supreme mode of revelation, his Son, who is the Word, and the Bible, for as John writes, “No one has ever seen God. The only one [Who is the Word of God], himself God, who is in closest fellowship with the Father, has made God known” (John 1:18, NET). Carson concludes from this text that “the Word was simultaneously God and with God—has broken the barrier that made it impossible for human beings to see God, and has made him known.” If this separation between written Word and Word of God were actual, then the implication would be that the only special revelation to which we have ready access would be inferior to the ideal revelation of God in Jesus Christ. To put the problem another way: If in the Bible we do not encounter the Word of God, who is the only one to make the Father known, then the Bible cannot be a reliable or full source of moral knowledge. The only sure source of moral knowledge is encounter with the Living Word, who is Jesus Christ. Therefore, if our moral knowledge is going to be the best kind possible for us, it must find its source in the Word of God; the Bible must be a revelation of Jesus Christ. Fortunately, Barth shows us the way to understand the Written Word and the Word as intimately connected. Barth contends that Holy Scripture is composed of the prophetic and apostolic witness to Christ. In the Written Word, the Church is given “the promise of God's mercy which is uttered in the person of Him who is very God and very Man and which takes up our cause when we could not help ourselves at all because of our enmity against God.” The promise of the Written Word is “Immanuel;” it is the working out of John 1:18. Barth adds that the Bible is the word of men “who yearned, waited and hoped for this Immanuel and who finally saw, heard and handled it in Jesus Christ. Holy Scripture declares, attests and proclaims it. And by its declaration, attestation and proclamation it promises that it applies to us also and to us specifically.” For Barth, then, the Bible functions on two levels. First, its subject is Jesus Christ. All of the Bible either looks forward or back to the revelation of God in his Son. Second, God is at work in the Bible. The Bible is not a static object, but has the character of “event.” God speaks in and through the Written Word and what he speaks is his Word, who is the Son. Thus, the content of the Written Word points to the Son, and in the Written Word, we encounter the Word of God. In this way, the Bible can serve as the best possible ground for moral knowledge. It is this sure ground that allows the Bible to not only supplement the limited moral knowledge available via general revelation, but also to correct misunderstandings. What is implicit in creation, is made explicit in Jesus Christ and his Written Word. Barth’s comment about the person of Christ being “very God and very man” also shows why the Bible is especially fit to be our source of moral knowledge. Jesus as “very God,” possesses the right kind of authority to place upon us binding moral obligations for, plausibly, God as the creator of humanity would ipso facto have moral authority over them. If Jesus were not God himself, then God’s revelation of himself in Christ would be deficient and not self-authenticating. On the other hand, the fact that Jesus is “very man” is also relevant, for in the life and person of Jesus, we find the ideal moral exemplar. Jesus authoritatively as God not only tells us what we ought to do, but he also shows how humans ought to function. He gives us a clear picture of the human good. It is Jesus’ status as both “very God and very man” that puts him in a position to set forth authoritatively and completely moral knowledge with respect to the right and the good. And the fact that he communicates through and encounters us in the Written Word means this knowledge is accessible to us. The Written Word, as Barth says, is the concrete realization of Immanuel. What the Written Word says about the right and the good also provide reason to prefer the Trinitarian account over the alternatives considered. With respect to the good, Aristotle’s virtue ethic is deficient in two ways when compared with the ethic of the Bible. First, Aristotle’s account of the virtues is both incomplete and in error at certain points. The cardinal virtues, discoverable by general revelation according to Thomas Aquinas, are supplemented by the Written Word. The theological virtues are beyond “the capacity of human nature” to apprehend and therefore it is “necessary for man to receive [knowledge of them] from God.” Second, Aristotle’s vision of the good life is inferior to the biblical vision. Aristotle’s conception of life in in the polis is based on a truncated view of the good for man. Fully realized human flourishing only occurs in shalom, where God and man live in love with one another and harmony with the whole of the created order (cf. Zeph 3:15;19-20; 8:3-12). With respect to the right, we also see that Kant’s account is inferior. While Kant argues that one ought to always treat others as ends and never merely as means, Jesus commands that we “Love your neighbor as yourself” (Mk. 12:31). While Kant may have intended to arrive at a conclusion like Jesus’, his insistence on basing moral knowledge of the deliverances of pure reason deemphasizes the central role that love ought to play in the working out of our moral obligations. One advantage of a Trinitarian account should already be evident: a Trinitarian account takes seriously the finitude of man and the inescapabilty of making theological assumptions (either implicitly or explicitly) in our quest for moral knowledge, but the other primary advantage is this: The central place of love in the Christian ethic and its deep, natural connection with the Trinity shows that the biblical ethic is both internally coherent and that it confirms our highest possible vision of what the ethical life should be. This should count as evidence in favor of the credibility of the Bible as the source of moral knowledge for us. Divine "goodness" differs from ours, but it is not sheerly different: it differs from ours not as white from black but as a perfect circle from a child's first attempt to draw a wheel. But when the child has learned to draw, it will know that the circle it then makes is what it was trying to make from the very beginning. This doctrine is presupposed in Scripture. Christ calls men to repent - a call which would be meaningless if God's standard were sheerly different from that which they already knew and failed to practice. If the Bible did not challenge, expand, and correct our moral beliefs, then would it would be superfluous to moral knowledge, but as we have seen, there are good reasons to think it is necessary. So, while this objection should be taken seriously, there are at least two promising ways of responding that will preserve the coherence of the Bible as our source of moral knowledge. The aim was to show why the Bible is necessary for moral knowledge. It was shown that two of the most popular alternative accounts for moral knowledge beg theological questions, have internal inconsistencies, and present a relatively truncated vision of the ethical life. For this reason, these alternate accounts do not provide the best explanation of moral knowledge. However, the Trinitarian account is internally coherent, has considerable explanatory power, and presents an ethical vision that exceeds our highest expectations. This vision is communicated to us by the Word of God in and through the Written Word, which means that moral knowledge is readily accessible to us. In view of the possibilities considered, the Bible as the source for moral knowledge for us is the best explanation available. Peter Enns, Inspiration and Incarnation : Evangelicals and the Problem of the Old Testament (Grand Rapids: Baker Academic, 2005). Kindle location 601. Karl Barth, The Church Dogmatics (I,1), ed. Geoffrey William & Torrance Bromiley, Thomas Forsyth and Geoffrey William Translator: Bromiley (Edinburgh: T&T Clark, 1975). 513. John Douglas Morrison, Has God Said?, The Evangelical Monograph Series (Eugene: Pickwick, 2006). 155. Though this does not mean that one could not confirm the veracity of the Bible in other ways. The point is that the Bible has its own authority as a source of knowledge; its has this authority both ontologically and epistemically. Ontologically, that authority cannot be supplemented by anything else. Epistemically, nothing else is required, but arguments that corroborate the Bible would be appropriate. Karl Barth, The Church Dogmatics (I,2), ed. Geoffrey William & Torrance Bromiley, Thomas Forsyth and Geoffrey William Translator: Bromiley (Edinburgh: T&T Clark, 1975). 31. John Calvin, Institutes of the Christian Religion, trans. Henry Beveridge (Christian Classics Ethereal Library 1845). Chapter 1, section 1. Image: "Grandma's Bible" by Andrew Seaman. CC License. Women – Paragons or Pariahs?